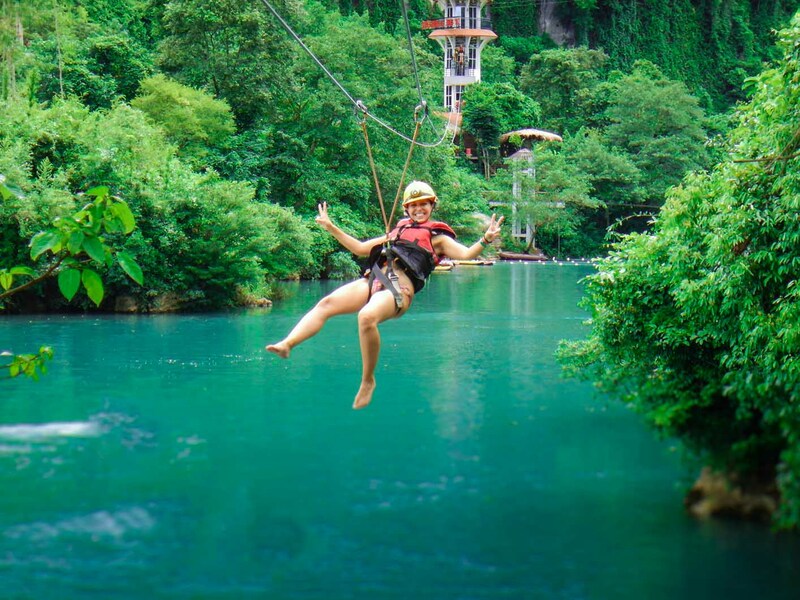 Phong Nha Ke Bang National Park Cycling and Dark Cave Tour bring you unique activities that you will not find anywhere else in Vietnam. Cycling along Son River, Chay River, crossing the beautiful wooden bridge in the ecotourism of Tram Me- belong Phong Nha Ke Bang National Park. 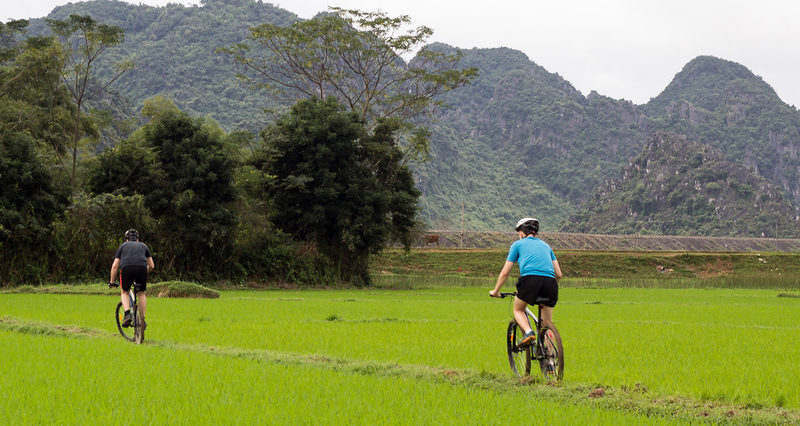 You will see the peaceful countryside of Vietnam with the green corn fields, rice fields, villages and meet local families with the buffalo on the fields, see their daily lives and taste their tasty local food …. 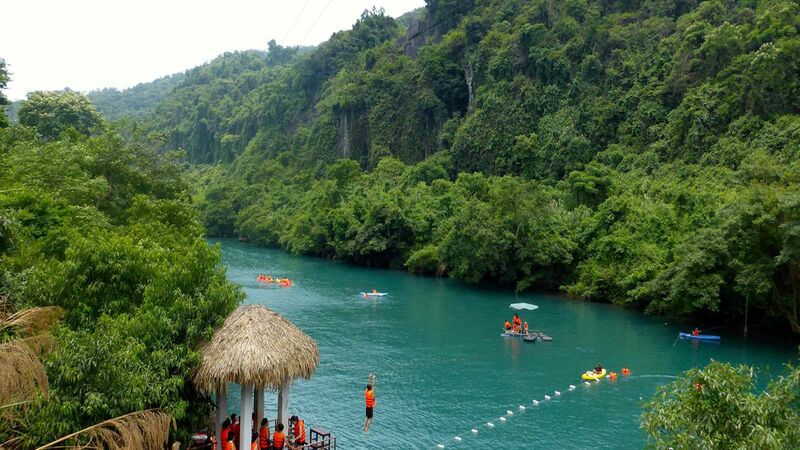 In addition, visitors can take part in the adventure game called Zipline on the Chay River and explore the Dark Cave. 11:30 Lunch at local restaurant in Phong Nha village, take a short rest before exploring Dark Cave in the afternoon. Explore inside the Dark Cave by zip lining. 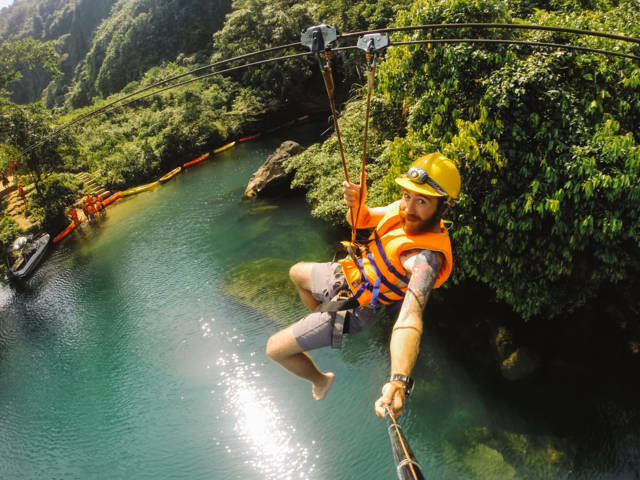 The longest Zip lining in Viet Nam. Inside the cave, there are many ancient fossils to be found. The fossils are over a million years old. 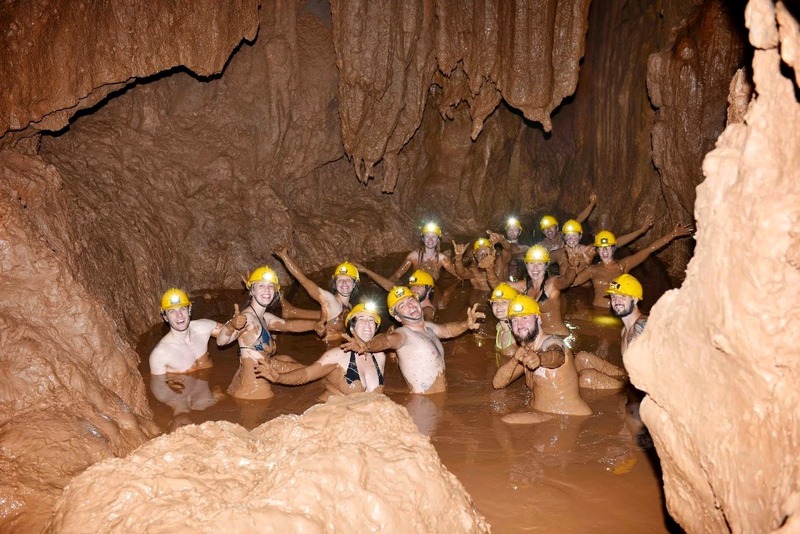 There is a natural mud bath at the end of one of the narrow passages The natural mud bath is very good for the skin. 16:00 - 16:30 Cycle back to the center of the ecotourism Tram Me, then back to Phong Nha or Dong Hoi by car. Finish the tour and see you later! Children: from 1.1m to 1.3m: 50% of tour price. Children up to 1.3m: 100% tour price. Use sports shoes or soft shoes suitable for cycling.